Why did the Holy Ghost ordain that Joachim and Anne should vow to offer their child to the temple before rather than after Mary's conception? How many Guardian Angels of Mary were chosen and appointed by the Most High God and from which Choirs of Angels were they selected? Why has the Holy Ghost provided that Saturday be consecrated to the Holy Virgin in Church? What is the real measure and foundation of the Greatness of Mary? Since Most Holy Mary could speak from her birth, why was she silent for one year and a half? and much more. 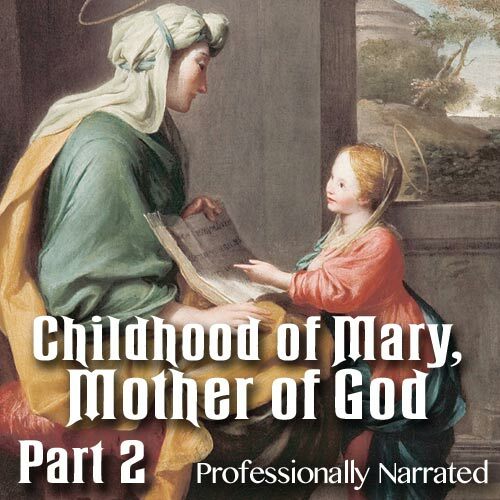 "Childhood of Mary, Mother of God" is a three-part series.